The console finished. I printed it at the OPTIMAL setting on my printer, which is a 0.15mm (150micron) layer height. Everything turned out pretty well except for the antenna. I think that's a function of the diameter being so small. My printer has a 0.4mm extrusion nozzle. 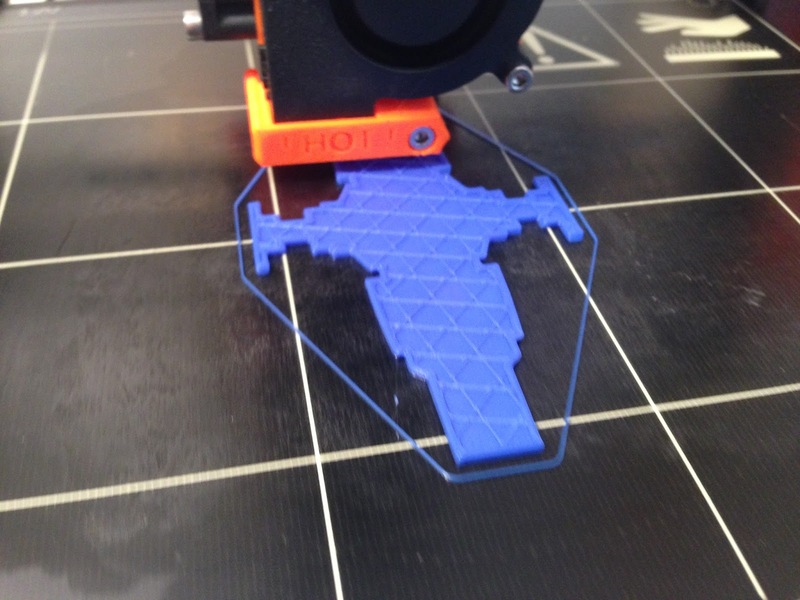 Even though it can print layers as thin as 0.05mm, every strip of plastic it lays down is 0.4mm wide. That means super thin things sometimes get a little wonky. It's also a little small. I'm going to scale it up a bit and see if it works better. 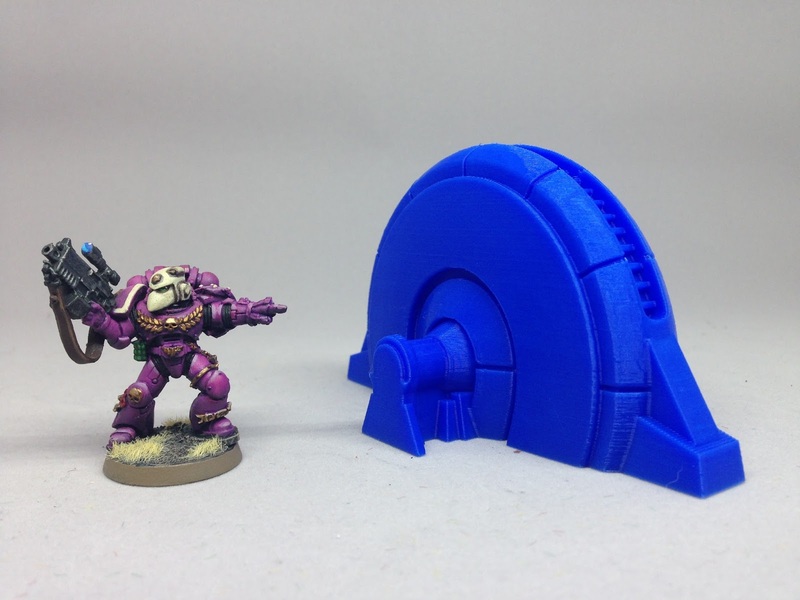 I found a cool thing on Thingiverse. It's a forward command post of sorts. 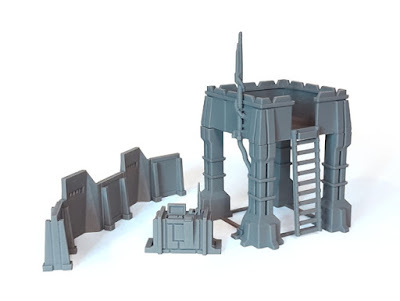 I think it'll work really well for an outdoorsy Star Wars piece of terrain. I have the command console bit printing right now so that I can decide whether or not I need to scale the whole thing up a bit. One thing I'm encountering is that most terrain is designed for a 28mm scale. Star Wars Legion seems like it's closer to a 32-36mm scale. The dude are generally taller than a generic Space Marine, but shorter than a Primaris Marine. 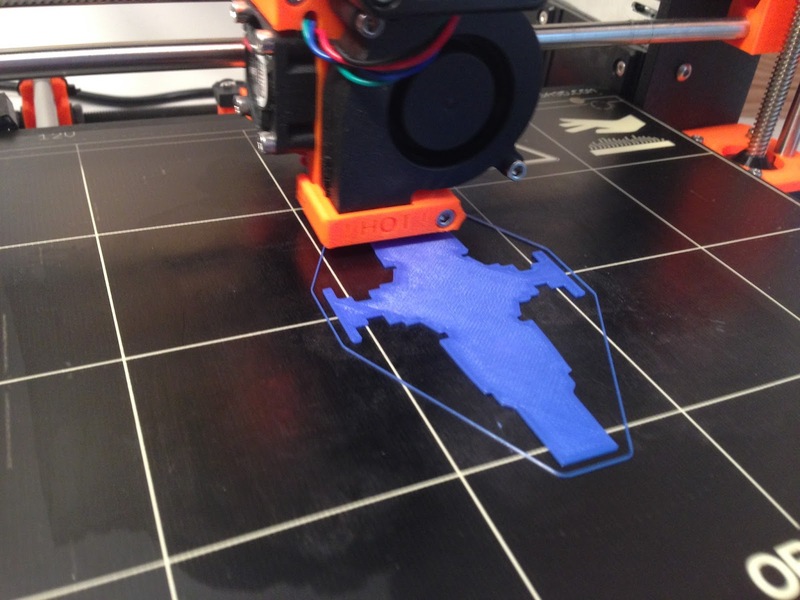 As I said, I'm printing the one piece first to make sure I have the scale right. Then I'll print the whole thing, which conveniently comes in a single file. It ended up taking about five hours total to print this sucker. 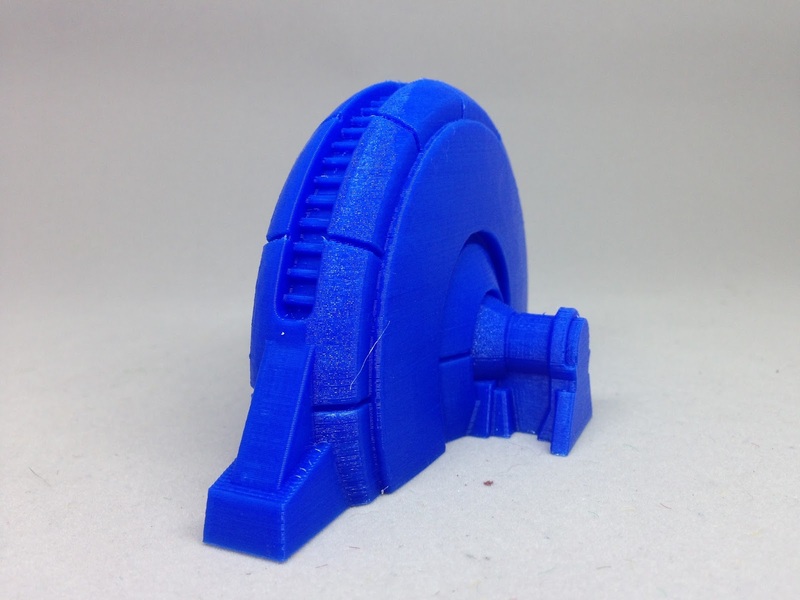 The tentative plan is to print 2-3 more and attach them to each other to make a proper Star Wars style shield generator. It's a little smaller than I thought it was going to be. 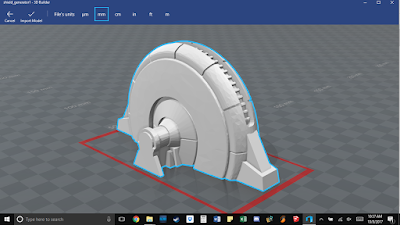 Thankfully, if I decide to, I can just scale the model up in the slicer program before sending it off to the printer. 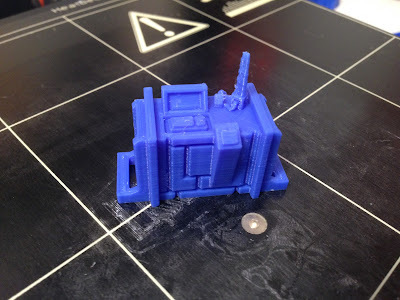 This was printed on the normal setting, which is a 0.2mm (200micron) layer height. I think that works just fine for terrain. I could have gotten a better result using the 0.05mm (50micron) layer height, but it would likely have taken 20-25 hours or so to print. 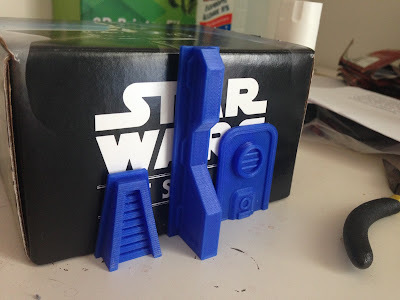 I'm still tinkering with my 3D printer and working on things for either generic or Star Wars specific terrain. Right now, I'm trying to get a Star Wars style shield generator to work. 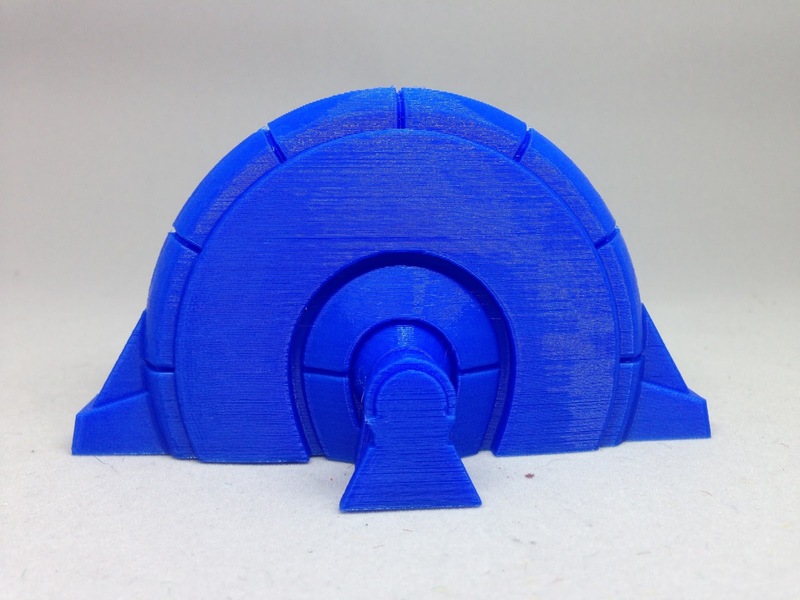 The shield generator is a file I found on Thingiverse.com. 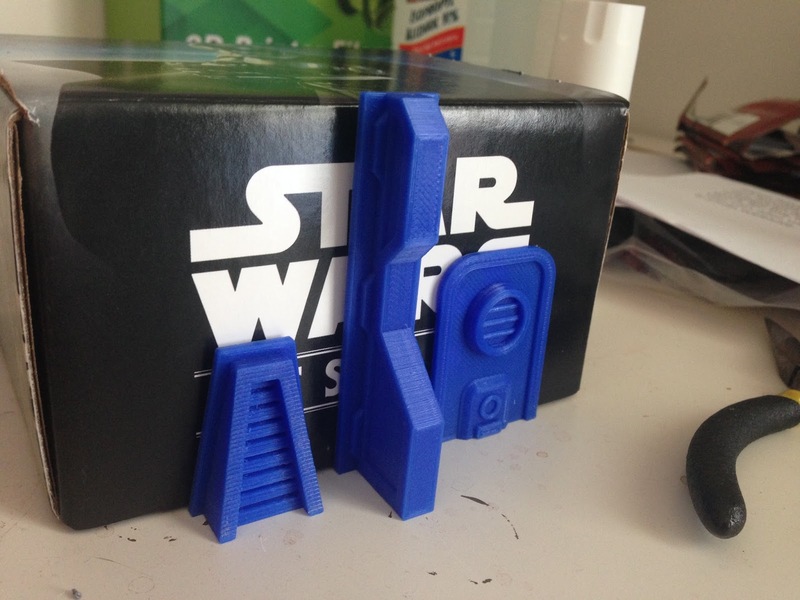 It was designed by a fellow named shotbyscott and is part of his 'Large Star Wars Legion Accessory Pack'. 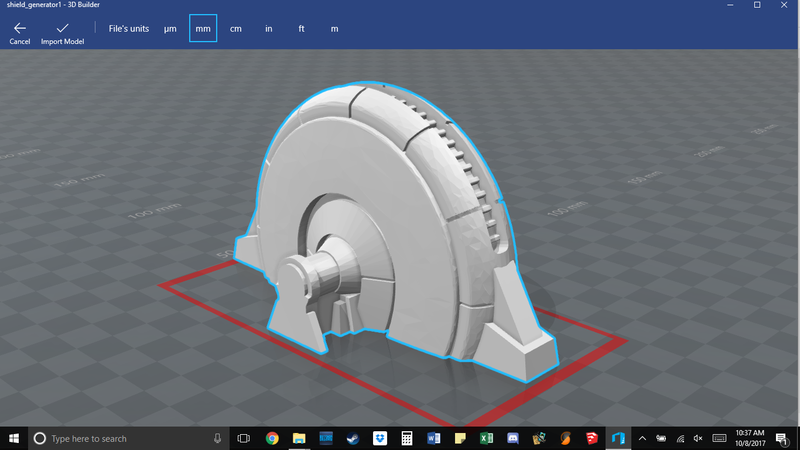 As with all of the other file on Thingiverse.com, it's completely free. For those of you who don't know much about 3D printers, I thought I'd run down a couple of specs and how they work. 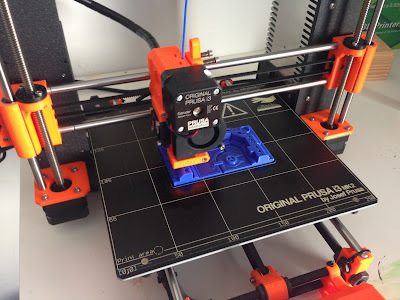 My printer is a Prusa i3 Mk2S. It's a pretty good printer, capable of printing with a 50micron, or 0.05mm layer height. The thinner the layers, the better the end model will look. However... the thinner the layers, the longer the end model will take to print. 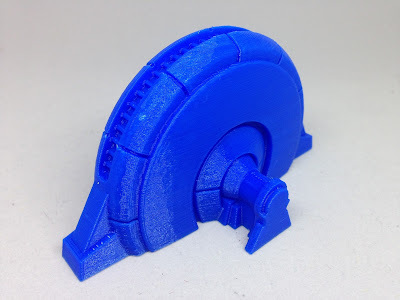 I'm printing the shield generator on my printer's 'NORMAL' mode, which is a 0.2mm or 200micron layer height. This is a nice trade off between speed and quality. ...which is why it's good that we don't need to make every layer solid. Every 3D printer has an infill setting. This is how much of the 'empty space' inside a model is to be filled with material. You can't just print a shell, or the model would be very delicate and prone to breakage. You also don't want to make the model solid, or it'll be heavier than it needs to be and will use too much material. The trade off is to fill only part of the interior. My 'NORMAL' setting fills 20% of the interior. It does this by laying down a hexagonal pattern. You can see the first couple of layers below. Because the hexagonal layers aren't full layers, and because they're interior details, the printer goes much faster when laying them down. The only downside is that my printer is a bit noisier when going fast. At this point, you wait. 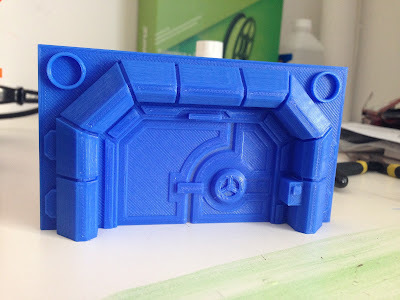 This model will take hours to print. I'm not sure how long, but I'm guessing at least five or six. I work a more or less traditional Monday through Friday, 9-5 sort of job. I don't like to have the printer running when I'm not home and I don't like to have it running past 10pm. I have neighbors and don't want to irritate them (or my wife). Due to these points, Saturdays and Sundays tend to be my printing days. It's Sunday as I type this. I was out most of yesterday, so I've actually been waiting for half a week to hit print on this model. There's a surprising amount of planning that goes into one of these suckers if you don't have the ability to run it overnight without aggravating people. I'll post another picture later when the print is done. Since I'm stuck waiting for Legion to come out, I figured that I might as well start working on some terrain. My plan is to just get some likely sized boxes and glue greebles to them to make them look like little Star Wars buildings. 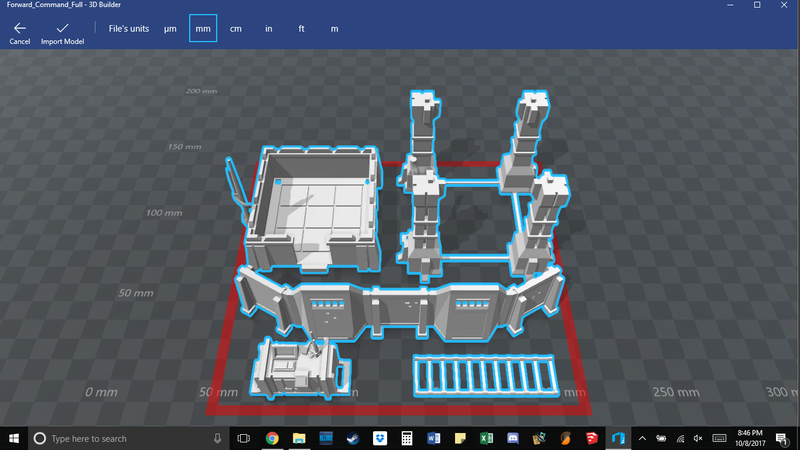 This is a heck of a lot quicker and more manageable than printing entire buildings. Glue these suckers onto a box and I'm in business.